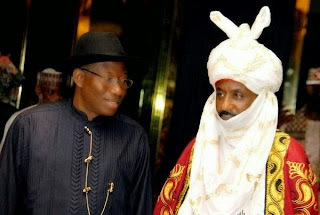 The Emir of Kano, Muhammad Sanusi II, was on Monday appointed the pro-chancellor of the University of Benin, Edo State. Speaking at his palace on Monday, after receiving his letter of appointment from the Minister of Education, Ibrahim Shekarau, Mr. Sanusi said doing good always has its rewards. He explained, “I’m saying this because as the governor of the Central Bank of Nigeria then, I came to the rescue of the university by spending N500 million to construct a bridge yearned for by the university for over 30 years. Mr. Sanusi cautioned governments against establishing too many universities. He said what Nigeria needs today is quality education that will herald the much needed development. He pointed out that it was not the number of universities that determined development in a nation but the actual quality of the education in such a country; therefore, in the journey to greatness, government in Nigeria should endeavour to do all it can to ensure that Nigeria education sector received the attention that would help boost the production capacity of the nation. Mr. Sanusi worried that a greater percentage of the university graduates today do not have the required skills to contribute or participate fully in the development of the Nigerian state. He said something very urgently should be done to tackle the unfortunate situation.